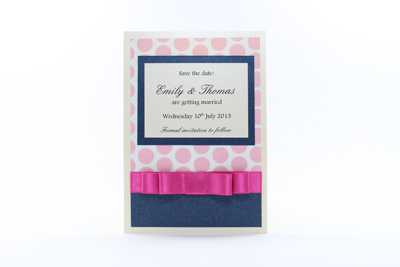 The save the date example shown is made using Cream, Pink polka dot and Lapislazuli pearlescent card. 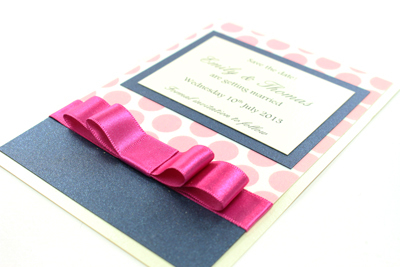 The featured Fuchsia satin ribbon is embellished with tiny co-ordinating beads. and to order using product code STD03.